Saudi Arabia’s economic diversification efforts and Vision 2030 received a huge boost with the launch of the first phase of the King Salman Energy Park (Spark) in the Eastern Province yesterday. Spread over a massive 50 sq km, the King Salman Energy Park (Spark) is seen as a sure catalyst for Saudi Arabia’s ambitions to diversify the kingdom’s economy beyond oil and place it as a global energy, industrial and technology hub with a thriving private sector, writes Abdulaziz Khattak from Dammam. When operational, the mega city project is estimated to contribute more than $6 billion to the kingdom’s GDP annually and create up to 100,000 direct and indirect jobs. The development is being spearheaded by Saudi Aramco. 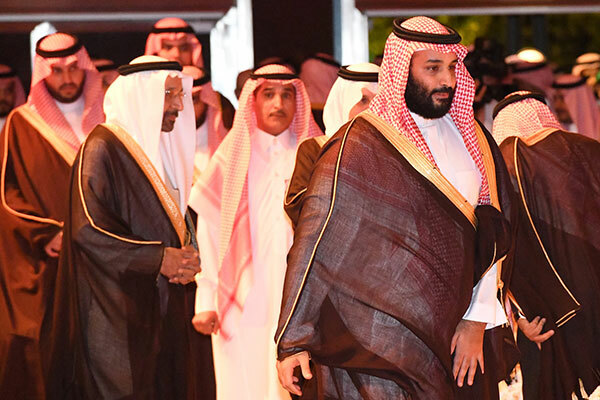 Spark was launched amid much fanfare and tight security at the Great Hall, King Abdulaziz Centre for World Culture (Ithra) in Dhahran by Saudi Arabia’s Prince Mohammed bin Salman, Crown Prince, Vice President of the Council of Ministers, and Ministry of Defence, the chief architect and force behind Vision 2030. Construction at Spark began in September 2017 with engineering designs for the whole project is more than halfway complete. The first phase of development is set to be completed by 2021 and investments in this phase are alone expected to reach $1.6 billion. The whole park is said to be completed by 2035, and by then it hopes to have united more than 350 industrial manufacturing and service facilities ranging from equipment for drilling, electrical services, and liquids treatment; exploration and production services; to pipes, vessels, tanks, valves, and pumps. Two-thirds of the development consists of industrial land. The launch also saw the exchange of 12 major industry agreements between Spark and global industry heavyweights, including Baker Hughes, Schlumberger, UND Aerospace, NESR, Halliburton, Borets, Al Rushaid Group, Oilfields Supply Centre, valvospain, Emerson, Saudi Information Technology Company and Raytheon, who will invest and establish operations at the park. In fact, Schlumberger was the first investor at Spark that announced in December 2017 plans for a centre for manufacturing onshore oil and gas well platform products, as well as their supply chain products. Negotiations are underway with more than 120 industrial investors in the initial phase. For Saudi Aramco, Spark is a key part of its supply chain initiative – the In-Kingdom Total Value Add (IKTVA) programme, and it will leverage the company’s pivotal role as the world’s most reliable energy supplier – and the world’s leading megaproject manager. The project will drive value creation in all of Aramco’s activities and contribute to its local-content mission, which aims for developing a sector that covers 70 per cent of local demand and can export 30 per cent of its products by 2021. Aramco will also make Spark its drilling and workover operation headquarters, and home to a supply chain management centre. In terms of its location, Spark is situated in the heart of the Saudi energy business, near major workforce providers and adjacent to highway and railway networks. This location also allows for integration with Dammam's 3rd Industrial City, as well as proximity to power generation and water sources, and logistical services. Eventually, the megacity will be created into a world-class, sustainable ecosystem that includes well-developed infrastructure, including a dry port; industrial training institutes; residential compounds; and commercial activities – all providing a one-stop shop to incentivise investment and enable small and medium enterprises, the backbone of a healthy private sector.